Can You Work on Two Books at Once? Is it Wise? 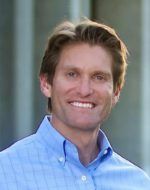 Eric Pfeiffer, M.D. asks if he will scatter his energy with too many projects. Dr. Eric Pfeiffer, one of my book proposal clients, just signed a contract with Sunrise River Press for his upcoming book Happy, Healthy and Wealthy: 14 Winning Strategies for Successful Aging. About a week later he e-mailed me about ideas for his second book, about Alzheimer’s, since he is one of the nation’s top experts on this disease. “Please tell me if I am crazy,” he wrote me. Of course, Eric isn’t crazy. But is it realistic to write one book and a book proposal for another book at the same time? Does it make sense? As a writing coach, here’s my answer for Eric, and for you, if you are considering more than one project at a time. Writing a book is obviously a significant undertaking. However, many people write a book while doing other things. Dr. Ellen Weber Libby wrote her book, The Favorite Child, due out later this year from Prometheus Books, while running one of the busiest and fullest psychotherapy practices in the Washington D.C. area. Most of my clients write their books while continuing demanding careers. Dr. Pfeiffer, on the other hand, is retired. I’m sure he has obligations to the Suncoast Alzheimer’s Center recently re-named in his honor, family obligations and other activities in his life, but because he’s used to very demanding work, I think it’s worth entertaining the idea of working on a proposal for book two while completing book one. However, he also needs to be working on his author platform, the foundation for promoting his book, and taking steps to complete his book promotion plan, before the book ever comes out. These steps are all critical for getting the first book into the hands of his potential readers. Estimate project hours in detail to "get real" and gain clarity. – Developing and beginning to implement the book promotion plan for book one. I asked him to refine his promotion plan into distinct steps, with an estimated number of hours for each. Then he needs to estimate how many hours a week he will work on each of the three main projects, and how long it will take him to complete these three, given such a schedule. While we creative types often rebel against these number crunching activities, this is the only way to “get real” about whether this plan is realistic or not. Ask your book writing and publishing questions as a comment in this post and book writing coach Lisa Tener will answer. The last thing you want to do is overextend yourself and scatter your creative energy in too many directions. On the other hand, different projects, and different aspects of the same project, can certainly feed each other. You can work on one while you hit a block in another area, or where you just need some space from one project to let it ruminate. The upshot? Work out the details and see if it makes sense. Then try it. If it’s working, great. If not, shelve the second book proposal for now. Feel free to add your book-writing and publishing questions as a comment to this post. I am happy to answer all questions that come my way.